Dial back the clock a couple of years and Lightseekers was a very different prospect. British developer PlayFusion successfully took to Kickstarter with an idea that was both ahead of the curve and a little late to the party. A mobile RPG with toys-to-life figures that served as both talking playthings and controllers – including collectable cards that used a neat AR function that added an extra layer of interactivity – it proved a crowdfunding concept too cool to pass up. It was an ambitious project, and one that came together surprisingly well, but with the toys-to-life market already in a state of decline by 2017 (and one of its exclusive retailers, Toys R’ Us, disappearing into administration) the combo of expensive physical toys and a fun yet unremarkable Diablo-lite game were enough to see it retreat into obscurity. However, with all that lore and a treasure trove of in-game collectable cards, PlayFusion instead did the smart thing and used all that material to build its own CCG. 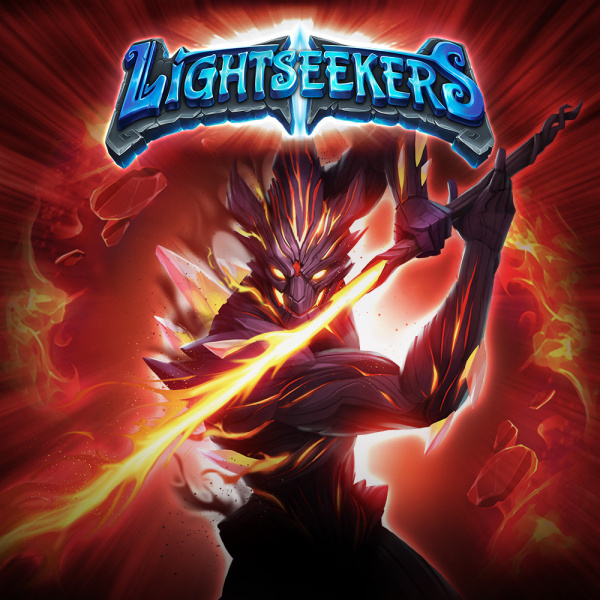 Originally launched on mobile last summer, the new iteration of Lightseekers has forged a decent little following in the months that have followed, which is quite the feat considering the vice-like grip the likes of Hearthstone and Magic the Gathering have on the digital card game market. But neither of those titles seemingly ready to make the jump to Nintendo Switch (and The Elder Scrolls: Legends still yet to launch), PlayFusion has decided to make the jump for itself, bringing cross-platform online play and all the current deck updates to a new console platform. A big selling point is the relationship between physical cards and their digital selves. 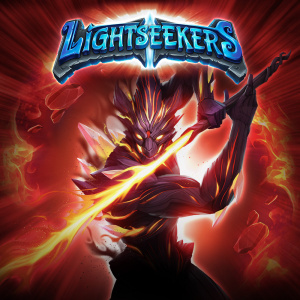 Unlike Hearthstone and its contemporaries, Lightseekers is already a moderately popular physical trading card game with starter decks, themed decks and booster packs available to buy online and at hobby stores. 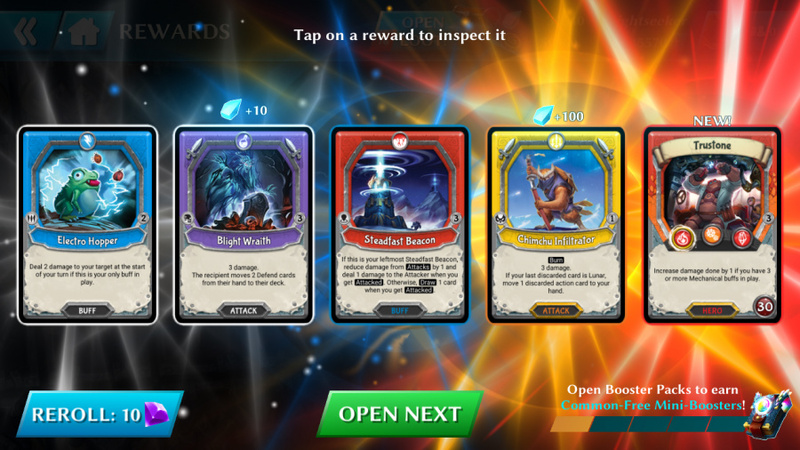 By using a smartphone app that links to your account, existing players (or those that already own the toys-to-life aspect) can scan all their cards directly into the game and incorporate every card into their customisable deck. With practically every other CCG/TCG leaning entirely on their digital storefronts, the fact Lightseekers is creating a synergy between the tabletop version of the game and the mobile one shows its developer still knows how to think outside the box. This is a free-to-play title, so even if you don’t own any of the cards in physical form, there’s still plenty of free ones you to unlock via the tutorial and a series of single-player missions. However, by the same token, if you do want to purchase booster packs, avatar images and more, you can sink cash into microtransactions. That aforementioned tutorial is mercilessly brief, so prepare to research the deeper mechanics at play before you venture into the killing fields online in ranked or casual play. As a CCG in the age of Hearthstone and its continued digital dominance, Lightseekers includes plenty of mechanics you’ll likely recognise and balances them out with its own take on proceedings. Certain cards will fortify others, taking some or all of the damage from an incoming attack, while others will provide instant debuffs or healing effects. The two most enjoyable elements are Buffs and Combos. Buffs are cards that last for multiple turns, with numbers on their corners that denote a certain value per turn. From doubling your damage output to absorbing incoming flak, these are the true long game of Lightseekers. Combos use other cards as fuel – if they’re of the same deck type – and can provide game-changing damage or healing effects. These are the 'supers' of Lightseekers and are your sacrificial altar when praying for a win against the odds. 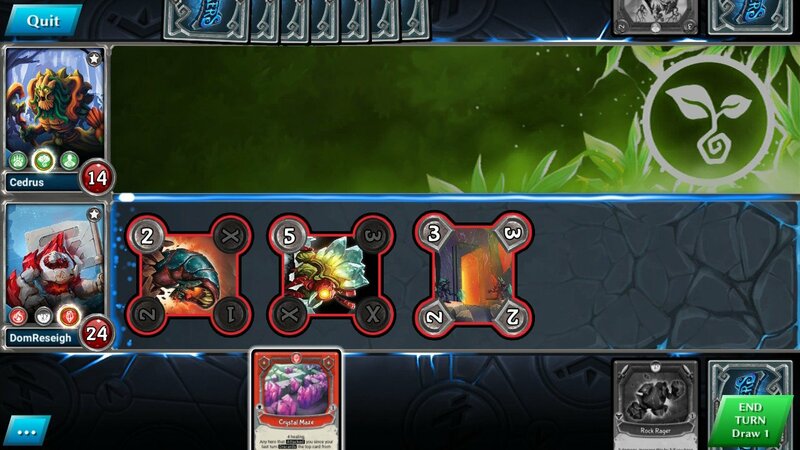 Once you’ve ventured online and had your backside lashed raw by a seasoned mobile veteran with a full channel of Buffs and strategically played Combos, you’ll appreciate just how much nuance exists between cards. For every thrashing, there’s a back-and-forth thriller where the right hand can turn the highest of tides. There are some problems, though – some of which developer PlayFusion is already actively addressing. Currently, the game only works in handheld mode, so you won’t be able to play Lightseekers on your TV for the time being, but a patch is expected in the near future to rectify this. It’s important to remember this is a game that benefits from the simplicity of touchscreen inputs and is in no way diminished by being restricted to a smaller screen. However, this does mean you can't use your Joy-Con either, so you really are bound to touch inputs only. There’s also the issue of the need for constant online connection. Even when playing against the CPU in the campaign missions, if you don’t have access to Wi-Fi the game is effectively unplayable. 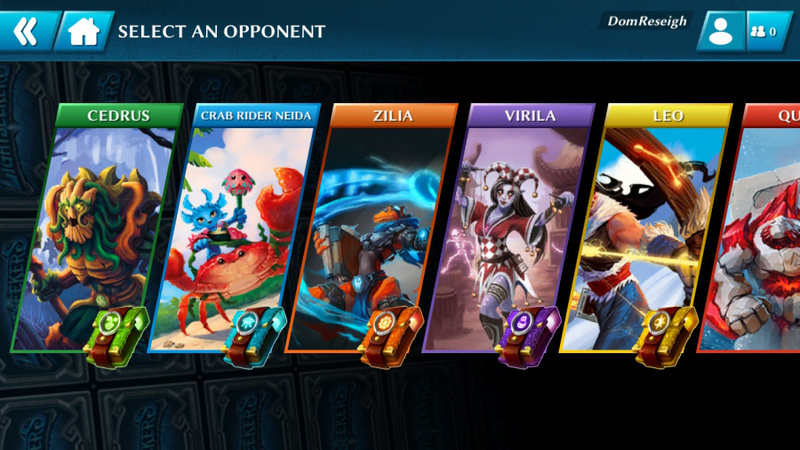 It’s an issue that can be bypassed in the mobile iteration because you have a constant data connection, but on Switch, Lightseekers simply isn’t something you can play while on the commute or on your lunch break – unless you use your smartphone as a portable hotspot or you can connect to an open Wi-Fi point. As such, this is a fun and rewarding CCG you can only really enjoy in select places. Perhaps its down to the cross-platform functionality with the mobile version of the game, but whatever the reason, it’s an issue that will only serve to drive some potential Switch players away, and that's a shame. Despite a limiting always-online requirement and a current lack of support for docked/tabletop play, Lightseekers rescues itself from by disaster thanks largely to the robust nature of its card system, the support for scanning in physical cards and the sheer depth of tactics available to different skill levels. Thankfully, it's also free-to-play and the the ability to earn digital cards at a steady pace via in-game challenges will keep players coming back for more each day. It’s great to finally have a proper CCG on Switch – even if it's not properly optimised for Nintendo’s hybrid console quite yet. Review copy provided by PlayFusion Ltd.
Yu Gi Oh + Triple Triad (FF VIII) ??? Free to play and always needs to be online to play, therefore adverts after every turn. Ah great, another mobile game, YEY! You say the Switch's "first great competitive card game is here", and give it a good rating. I'm not against ports of mobile games if they're adapted well to the platform, such as Deemo and VOEZ where the Switch versions contain all the content for one reasonable price. Leave the freemium and pay-to-win type of stuff on mobile where it belongs. As a former Duelyst player I was keen if I'll like the game. I've never heard from it before and installed it day one. Then I realized there's no docked support which - for me - is kind of a disaster (because I'm playing docked about 80% of my playing time). Then I tried it in handheld mode. But the texts of the cards are nearly unreadable. I want to have fun and not an eye test. Uninstalled it after about 45 minutes. I think I'll give it a second chance when docked mode will be available. If not... I'll pass this one and hope for another CCG. After reading the full review, I have absolutely no idea what this game is about. "...synergy between the tabletop version of the game and the mobile one shows its developer still knows how to think outside the box"
So... EXACTLY like the Pokémon TCG? @bizcochototal Not yet, but it needing to be online for it to work, it's only a matter of time. @Bunkerneath Thats not really how it works. @Bunkerneath That won't happen. Unless you mean in game goodies ads, then maybe. This review is awful and does absolutely nothing to explain the game. To correct some things: each card has unique identifiers on it and cannot be faked (each “delivery crab” card is unique for example), and you can scan that physical card to own it in-game (you’ll need a mobile device to take advantage of this as switch has no camera obv). This is not like PTCGO which gives code cards. You can scan cards again to “unown” them, if you wanted to trade them for example. And no, never any advertisements ever. The game does have some big problems, mainly communication from the company and ban lists, but check out a gameplay review if you are even a little interested. This article really explains nothing. I hate these kind of card games to be honest, they always feel like they are pay2win. As Gorejelly said, each card is unique to scanning; so scanning 3 different copies of the same card will give you 3 copies of that card in the game. Also once you have 3 copies of any action card, one copy of any hero card, and one copy of combos, you can make as many decks as you want out of them, so you don't have to have like 10 copies of a card to make a bunch of different decks. There are people who play this 100% free and just earn chests while leveling up or playing the challenges so they get tons of new cards and shards to craft more cards and gold to buy in-game boosters. There are many different ways to get in-game currency. Got a card you don't want? Recycle it into crafting shards to put towards cards you do want. If you own physical cards scanned in, you can also level up those cards in the game to get more gold to buy more booster packs. You can level and gain gold just by facing the computer. It is a pretty fun game and you don't have to have the most expensive cards to have a great deck, I have seen lots of versatile decks with all sorts of combinations. Heck, one common hero is being considered a contender in the next meta for ranked. @Coxula It is touch screen dependent so if you want to read the cards you have to touch the individual cards. I can read the cards just fine. If you want to read your opponent's card, you have to wait till it goes to the discard pile (unless you can slow down the gameplay via the controls) and then touch the discard pile. Thanx for your tip. I never ever played games on my mobile (for playing mobile Nintento has a lot of nice consoles I can chose from ) so I'm not really familiar playing on touch screen. Might be I was a bit overhasty not giving the game a chance. Maybe I'll try it again. On the other side it's as I said: I'm playing in docked most of the time and if not I normally have no Internet connection. 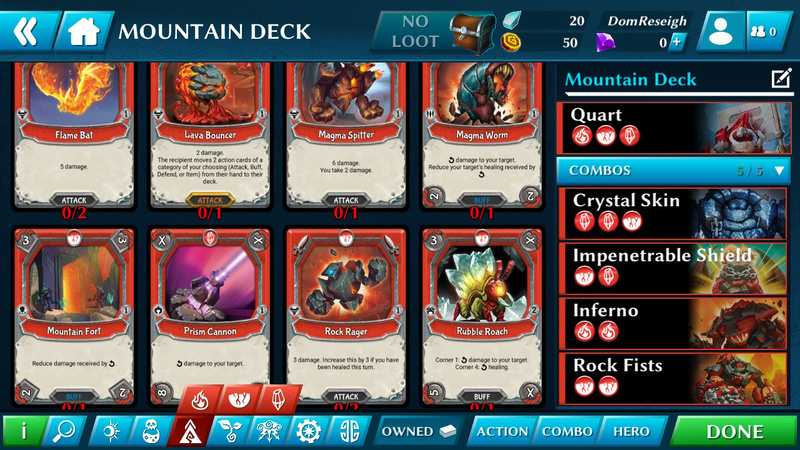 I have been playing this for a couple of weeks before it came to Switch, on my mobile, and I am still playing it now on my Switch with a view to collecting the actual cards when Wave 4 hits soon. It is a fantastic card game with the app being refined in the next couple of months to bring the available cards in line with what cards are not banned in real life. I hope this app gives the card game the attention it deserves and it becomes a bigger thing in 2019. @Bunkerneath Played for hours last night, I didn't see a single advert. This is free to play done right, I can assure you. I'm addicted to the game already, haven't spent a dime on it, with no intentions to ever spend any money on it as long as it remains as fun and engaging as it has in the first 3 or 4 hours I've played. @Coxula I play both docked and on the go roughly equally. Unfortunately, Lightseekers is not console friendly. A touch screen is a must. If this is your first ccg, you should give this game a try. Play one or two games a day or week. You get chests and boosters fairly quickly. Grinding is involved but compared to other f2p games, it is pretty mild IMHO. @oninowon As I said: When I'm home I play docked only, when I'm on the go there's no Internet. So I think I'll pass this one. This does not make the game a bad one! And no - it wouldn't be my first CCG. I played Duelyst for a long time and Might and Magic: Duel of Champions a long time ago.